The other day, I met a man who was interested in selling his home. He had paid off his mortgage years ago, and had his eyes set on retirement in the Gulf of Mexico. I could tell by the look in his eyes and the tone of his voice, that this was his lifelong dream, finally becoming reality. His passion for moving to a warmer climate in order to rest and relax in the latter years of his life was inspiring. Unfortunately for this man, his home was not selling. He had neglected to properly maintain it over the years, and even when he did accept a lower offer than what he had envisioned, the buyers backed out after the home inspection had gone awry. At this point, the man could either sell the home “as-is,” for much less than he had paid into it, or abandon his dream of oceanside living in return for more brutal winters in upstate New York. While I don’t know for certain which path this man chose, I do know that it wasn’t an easy decision for him to make. The sad fact is that this entire scenario could have been avoided, had this man properly cared for his home over the years. Much like a home, a car needs to be properly maintained and cared for in order to get the most out of a trade in value, or a cash offer to sell. While a home is much more sprawling and requires an added level of care and attention, a vehicle is intricate with many components and parts. Failing to care for it will result in a lower amount of money when it comes time to sell, and less funds to put toward a newer vehicle when the time comes. The easiest way to maximize the worth of your car in the future, is to take great care of it now. Rather than live with regret, like the man who neglected his home, be purposeful about caring for your vehicle, if you want to get more money for it in return. What can you do today to maximize the return on your investment tomorrow? As it turns out, quite a lot. There are multiple ways to maintain your vehicle over the years, so that when it comes time to sell, you will get more than you would otherwise. Keep Up With Regular Maintenance: This is the easiest, yet one of the most forgotten areas of car ownership. It’s easy to ignore the “check engine” light after a few days, and neglect to follow an oil change schedule. These seemingly little things, however, will add up to disaster if they are not addressed in a timely manner. That skipped oil change can wreak havoc on important engine components, and ignoring an illuminated check engine light can spell disaster down the road. Taking care of these minor maintenance issues will certainly help keep your car’s value where it should be, and it’s also wise to keep records of all services performed. Keep a notepad in the glovebox, and jot down dates and descriptions of service to show future buyers that you properly maintained your vehicle over the years. Whether or not you keep records, don’t neglect regularly scheduled maintenance! Don’t Ignore the Dings: Dings, dents, and other cosmetic blemishes may seem like minor offenses now, but they can create major problems in the future. A small chip in the paint can easily turn into a large rust spot, especially after enduring intense winters in upstate New York. Fixing a small paint chip or ding now will be relatively inexpensive, compared to what it will cost you to repair it in the future. Even if that dent from a rogue shopping cart doesn’t turn into a large area of rust, potential buyers won’t enjoy the unsightliness of these small imperfections. Take care of dings, dents, and scrapes now, so that you don’t end up paying for them in the form of a lowball offer later. Keep it Clean: Keeping a clean car isn’t just advised for resale, but also for the duration of ownership. It’s easy to neglect the interior of a car, especially if you have pets or small children as frequent passengers. Vacuum up those Cheerios, scrub out those crayon markings, and keep the windows clear of Fido’s drool. These things are easy to ignore on a day-to-day basis, but can add up to major problems if they aren’t kept in check. While I am not suggesting that you detail your car daily, I do find it helpful to clear out any crumbs and garbage at least once a week. It is also important to keep the exterior clean, especially during the winter months. Road salt can do serious damage to your paint job if not kept at bay. Cheap car washes are popping up all over the state, so take advantage of them. A clean car, after all, is a happy car. Pay Attention to Mileage: This is a tough one for some, and an easy one for others. When you go to sell your car, one of the first things prospective buyers will look at is mileage. Cars that have excessive mileage are often passed over for vehicles with lower numbers on their odometers. If you enjoy cross country road trips or have a long commute to the office, avoiding excessive mileage may not be possible. If you are at least aware of how many miles you are putting on your car, you can better gauge how much you will get for it when you decide to sell, and possibly end up avoiding unnecessary mileage in anticipation of the sale. 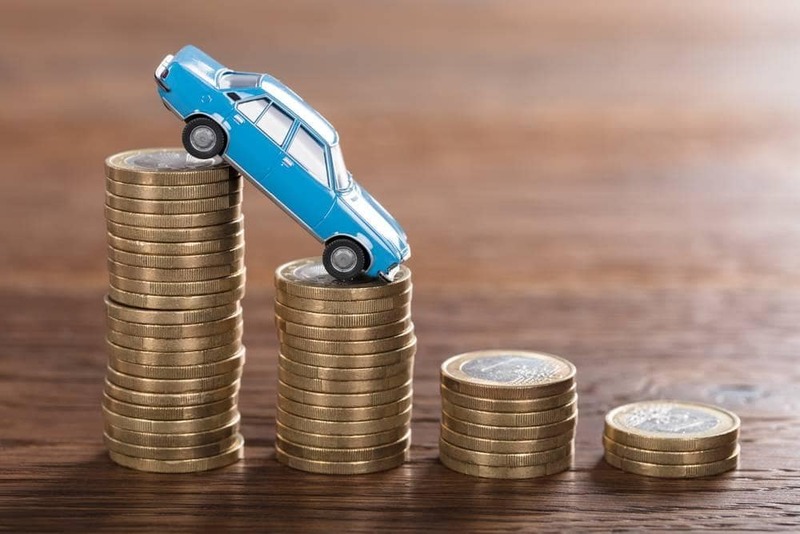 Whether you plan to drive your car for over a decade, or prefer to get a newer model every few years, taking exceptional care of your vehicle is the best way to ensure you end up with the most money at the time of sale. Rather than end up like the man who couldn’t sell his home and fulfill his lifelong dream, take steps now to get the most for your car in the future.